If you do use Hotmail to communicate, you may have deleted some of your important messages at some point. If you do not know how to perform Hotmail email recovery, this can be extremely frustrating. In this article, we will show you how to get back your deleted emails. Part 1: Is It Possible to Recover Hotmail Emails? Part 2: How Restore Deleted Hotmail Emails from the Deleted Folder? Part 3: How to Recover Emails Permanently Deleted from the Deleted Folder? 1Is It Possible to Recover Hotmail Emails? Hotmail email recovery is possible. When you delete your emails from the inbox on Hotmail, they are simply moved to the Deleted items. You can get the messages back from the Deleted items – we will be showing you how. After a while, the Deleted items gets cleaned. Therefore, if you wait too long before recovering your email, it may be gone. While Hotmail’s recovery feature can help you get the emails which have already been removed from the deleted folder, there is no guarantee that you can get back all your emails via the feature. The feature can only recovery emails removed from the deleted folder only a few weeks ago. 2How Restore Deleted Hotmail Emails from the Deleted Folder? 1. Use your credentials to sign in to the Hotmail account whose deleted emails you would like to recover. 2. On the left-hand panel, tap the Deleted items. 3. Drag and drop the emails available in the Deleted items to a different folder or check the emails and click Restore. 3How to Recover Emails Permanently Deleted from the Deleted Folder? 1. After accessing your Hotmail account, click the Deleted items. This should be available on the left-hand column. 2. On the main window, the “Recover items deleted from this folder” link should be available towards the bottom of the screen. Click this link. 3. Hotmail will recover as many emails as possible. Once the recovered emails appear here, simply click Restore to recover them. Note: After removing deleted emails from the Deleted items folder, you will have a chance to recover them within a period of 14 to 30 days. This generally depends on your system settings. If you downloaded your email .pst/.ost files but accidentally deleted them over 30 days, don't worry, there's still a chance to recover them. With a good data recovery tool, you can get all your data back. The best tool you can use to recover your deleted email files from all your storage devices is known as iMyFone AnyRecover. 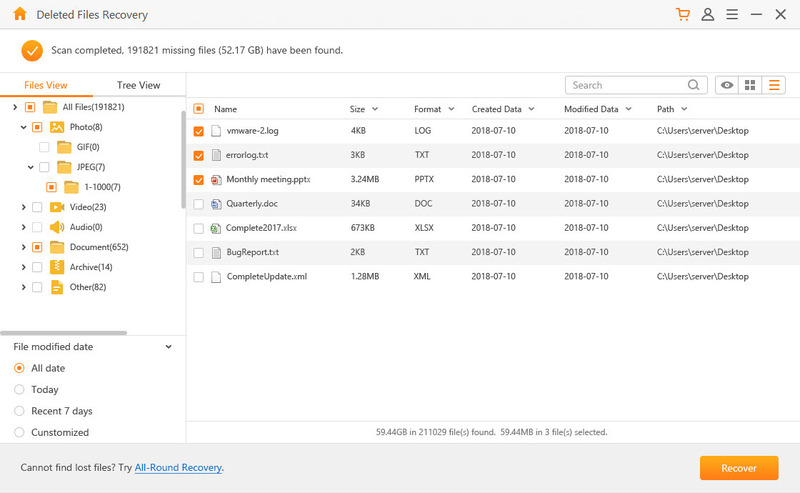 AnyRecover makes getting back your lost data extremely easy. Technical knowledge is not necessary when using iMyFone AnyRecover to get your data back. The tool’s unique algorithm makes it possible for its users to recover unlimited data. The tool supports more than 1000 file formats, including emails, videos, images, documents, etc. 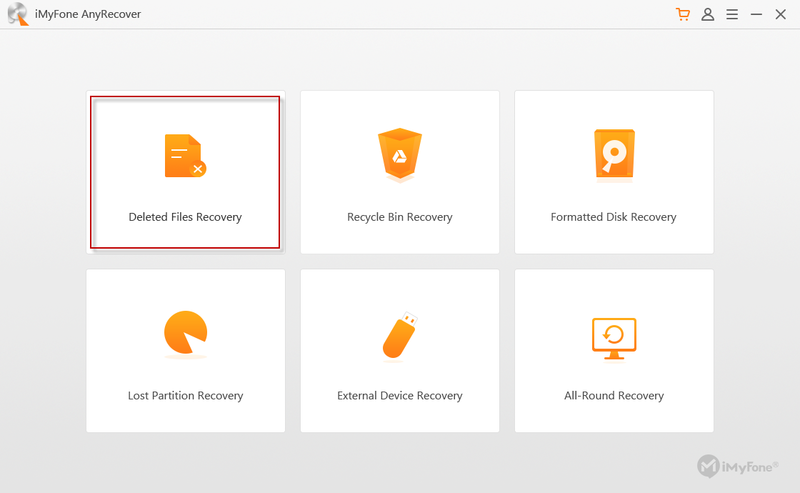 You can use AnyRecover to recover your files from all storage devices, including hard drive, digital cameras, memory cards, virtual drives, etc. It is capable of recovering data lost via other means, including virus attack, formatted device or hard drive, lost partition, OS crash, emptied recycle bin, damaged hard drive, etc. A free trial version is available. Try it before you want to make a purchase. Step 1: Open AnyRecover on your PC or Mac. On the home interface, select Deleted Files Recovery Mode. Step 2: Select the location where you deleted your files and then click Next on the bottom-right corner. 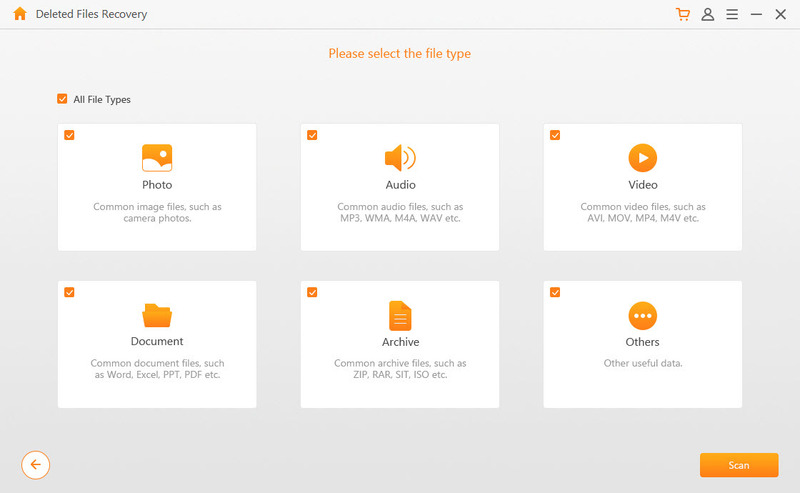 Step 3: Select the file types you want AnyRecover to help you get back. Tap Scan. Step 4: Your deleted files will be displayed after the scanning. Preview the displayed files and choose the ones you would like to recover. Click Recover to get the files back. If you have just deleted your Hotmail emails, you can get them back. This article shows you how to perform a Hotmail email recovery. It is important to note that if you deleted your emails a long time ago, Hotmail email recovery may be impossible. This is because the deleted files disappear completely after a while. This article does show you an ideal tool you can use to recover over 1000 file types. The tool works with all storage devices. AnyRecover does have a free trial version. You can use it to confirm whether it will work for you before you pay for it.